EB corbos AdaptiveCore is the software base for safe and secure high-performance controllers. It provides a holistic software framework according to the industries’ new Adaptive AUTOSAR platform. 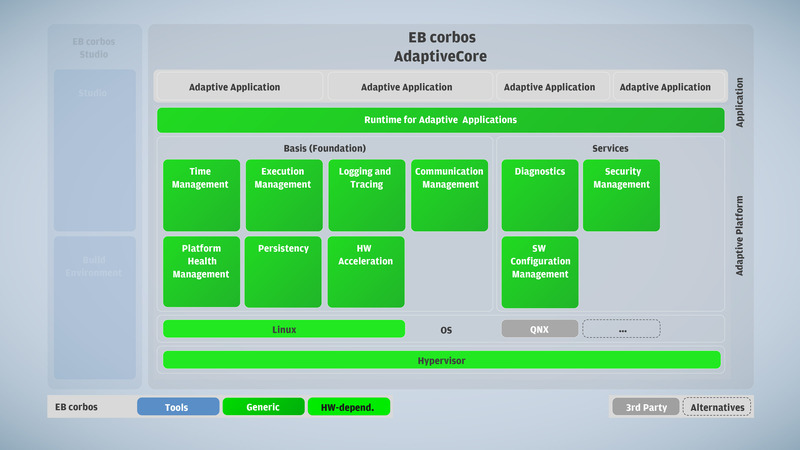 EB corbos AdaptiveCore is based on the latest Adaptive AUTOSAR platform and supports automotive Ethernet. 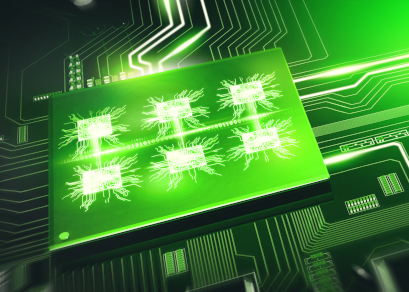 The AdaptiveCore platform is compatible with POSIX-based operating systems and designed for flexible use from infotainment to automated driving applications. EB corbos AdaptiveCore supports the standardized process for integrating applications following the Adaptive AUTOSAR platform methodology. The software framework provided with EB corbos AdaptiveCore allows you to reload and extend software functions at run time, which is required for updates over the air. The combination of EB corbos products with safety products provided by EB allows you to fulfill highest automotive safety levels on performance systems. EB has long-term relationships and cooperates closely with leading semiconductor vendors like Intel, Nvidia, NXP, and Renesas. EB corbos products are available on their platforms and include testing on target systems for production level quality. Service oriented communication via ARA::COM and ARA::REST.